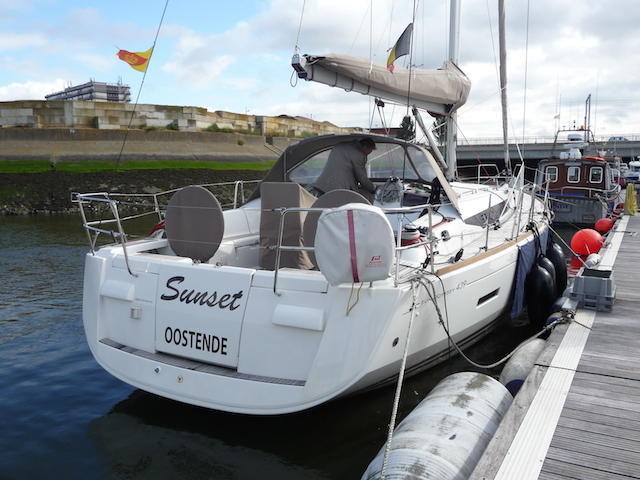 Sun Odyssey 439 (Build No142) - VERKOCHT! 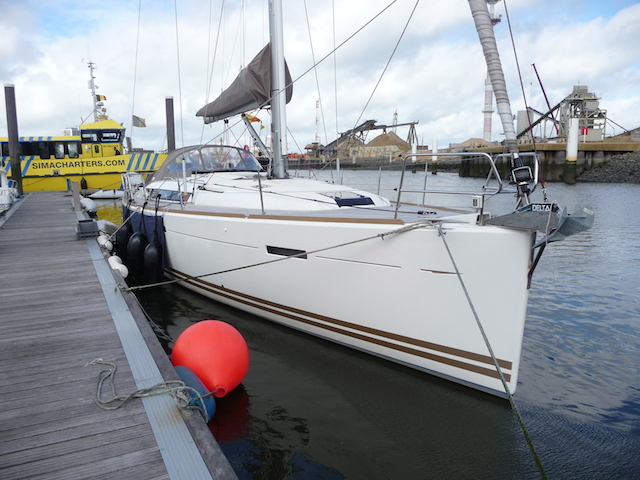 This boat is very well maintained and in very nice condition. It as almost as new and offers big savings against buying a new cruiser of this size. We made a survey on the yacht which can be asked on demand. 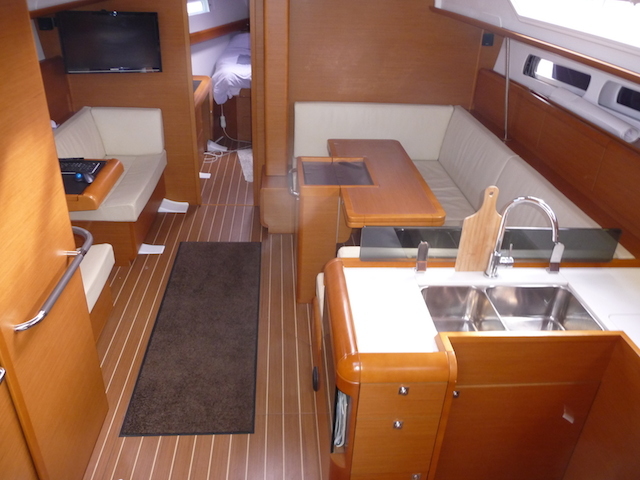 “The Sun Odyssey 439 is a thoroughly modern family cruiser, incorporating several of the latest design trends. One of the core concepts of the 439 is to bring all sailing functions back to the cockpit, and the most immediate of them, the sheets, directly to the helm stations. The primary winch placement lies readily at hand for the helmsperson, qualifying this as a short-handed cruiser. All this running rigging running aft from the mast is hidden under sea hoods, leaving the deck clean looking and clear of obstructions. Jeanneau does a nice job of partnering rich woods with white paneling to create an interior that is simple yet stylish. The entire interior is awash with light due to eight deadlights and eleven ports and hatches. The main saloon is spacious yet rendered safe at sea with the strategic placement of several leather covered stainless-steel handholds. The main saloon table is cleverly designed. The wind gods of the Chesapeake favored us with 10-18 knots of breeze on our test day. We easily managed 7 knots respectably close to the wind, and hit the polar predictions on all other points of sail.